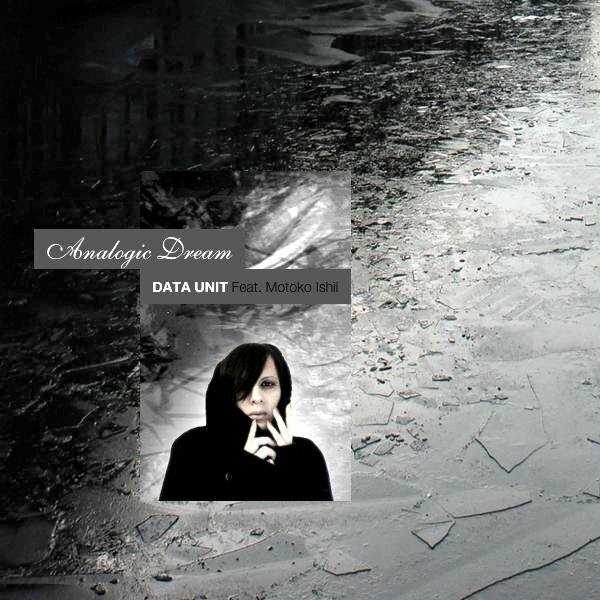 Your resource for all things shoegaze and dream pop: Interview: Francois de Benedetti of Data Unit. I am François de Benedetti. I started a few bands and played with a few others in France and the UK (mainly in the London area) from the early 80's to the mid 90's. 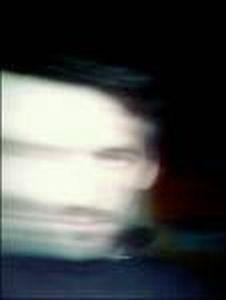 My brother Philippe, who's made contributions to some of my projects (he has done some programming and played synths for Data Unit and Orange 86) also played in some of the early bands I was involved in. 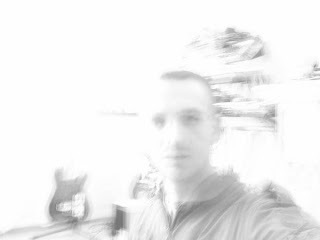 I am deeply involved all sorts of Cold / Electro explorations, through playing guitars, bass guitars, keyboards, synths, programming, recording and so on...At one point, I grew tired of music, and so I decided to quit writing and playing in 1996. 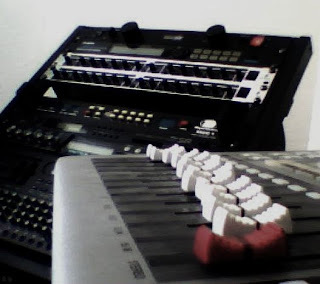 Then, I practically started from scratch in 2006, at which time I realized that I had a need and a desire to make music again. After a few ups and downs, I started Data Unit in 2007 to do whatever I was interested in. It hasn't always been easy -- I have difficulty sometimes focusing in on one style to write in -- but, within Data Unit I feel free to work on whatever moves me. When The Sun Hits Interviews François de Benedetti of Data Unit. How and when was Data Unit formed? On December 12th 2007 Data Unit was initiated, and the principal focus of the project was: Since I had lost everything that was important to me, I came to regard myself as nothing more than a protocol. I used to feel so lonely that I began to imagine that I was no more than a flux of data; a useless, forgotten, odd protocol sending 0s and 1s into the void. But I was wrong. Yes I can. Well, I started a few bands and played with a few others in France and the UK (mainly in the London area) from the early 80's to the mid 90's. My brother Philippe, who's made contributions to some of my projects (he has done some programming and played synths for Data Unit and Orange 86) also played in some of the early bands I was involved in. What sort of reception does your music get in France? 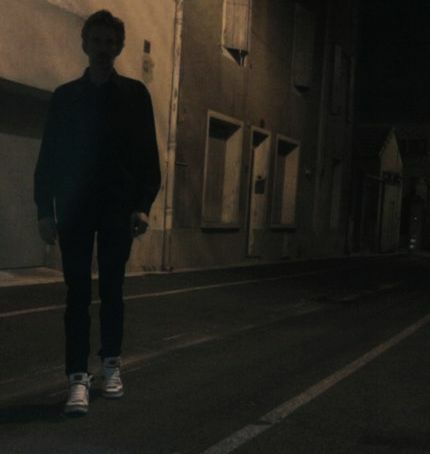 What's France's indie scene like? My music gets more and more support as time goes by here. But not as much than in America and UK, these countries have always been much more supportive to whatever I did and still now they are on top of my stats. Even if it isn't so accurate to focus on numbers and on "how green is the map" on soundcloud and youtube-like, it is very pleasant to see the audience growing in term of number and age/genre. I don't feel very comfortable talking about French reception, nor about the indie scene here. In my humble opinion, there are some people doing their best to do, spread and share and a lot of some other who seem satisfied of main stream stuffs.... Maybe I shall go out more often. Do you consider Data Unit's music (or any of your other projects) to be part of the current shoegaze/dream pop scene, or any scene? Defining one's sound by genre can be tiresome, but do you feel that Data Unit identifies closely with any genre? How do you feel about genres in music, in a general sense? What about thoughtgaze or ice cream ambient ? Well, I like a few of these scenes. What gets my attention is when a band sounds true and not "jumping someone else's train". My horizon is quiet wide. I don't think a genre is so important these days, but it's up to every one to see what to do with it. I'm stuck on my Fender babies, I mean Crystal and Skaia. 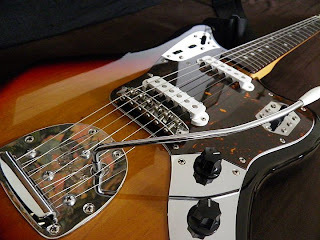 They are my Jaguar and my Jazzmaster. I'm using mostly them because they are those I like much (I could say love but this would become a litle private, lol) but I'm using a bass and two other guitars, too. I'm got into effects since almost the moment I learned to play guitar, so I had a lot of pedals and multi effects. Of course I love the classical Boss like BF-2 and all those so well known people with whom we like some mutual sounds. Now I'm just using two Zoom, a G2.1u and a G2M. I'm planning to add some more pedals to my sound and even getting some real amplifiers (Fender / Vox) because I'm on simulations at the moment. It is not software though. I'm doing all hardware, I don't mean it's better to do like this or like that. I used both, and came back to hardware. My choice is simply mine. I think the music industry is changing and, not to point the obvious, it has begun a few years ago yet. In my opinion, things are going much balanced for "non main stream bands". I, as a few other people, believe in real changes to be able to enjoy, share and spread as cool as possible. Well, I think it's really positive. I know how tough it can be to release something. If a band can make it on label releases, it's all fine. If a band can't, DIY seems like a good solution in a short term effect. Anyway, I do enjoy both as a listener and also as a musician. Yes I do. As a purchase I accept mp3 or whatever...But I like to have the real object, and I like vinyl than CDs. I like tapes too, they are convenient. It is not a question of poshy hype, I just rather like a needlecaressing a spinning bliss. It's way warmer to my ears and nicer to my eyes. So I'd say I've been lulled by both the Shadows, The Beatles, Motown's, Pink floyd, Can, Kraftwerk and on the other hand ... my dad's tastes. I'm really enjoying some bands like The Stargazer Lilies, Morpheme, Drowner, Chatham Rise, Spell 336, The Fauns, LoveLiesCrushing, Winterlight, The Electric Koolaid Compagny, Black Market Karma, The Warlocks, Singapore Slings, Labels (and Bands on) XD Records, Vebeth. I'm spending a lot of hours screengazing daily, I like a lot of things, maybe too much to write as proper list, but well, you probably know this yet. 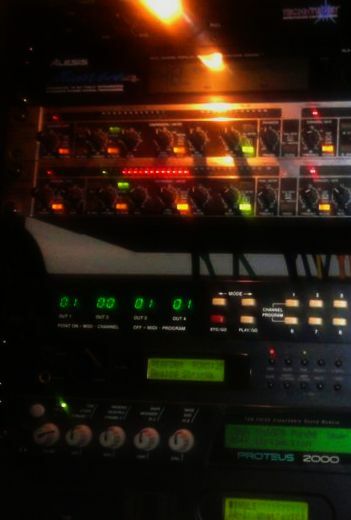 If you had to choose one Data Unit track that was the ultimate definition of your sound, which would it be and why? Ok, seriously, I'd say "For Your Smile" and "Eolis Dream Unit". It's just like letting all go in a quiet moment. I am very calm in my daily life and I do like to enjoy every simple moment as it comes. So when I want to write music, I just have to be able to play on some nearby gearr, because the music doesn't ever stop in my mind, it's quiet simple. I becomes trickier if someone is around, so I do rather like to do so on my own. 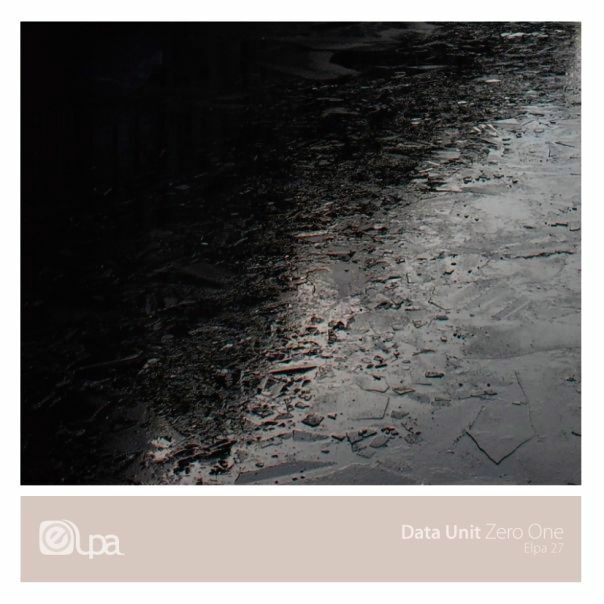 Free Downloads of Data Unit Music. 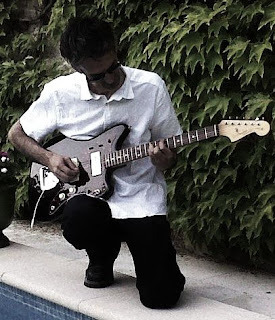 "a needlecaressing a spinning bliss"... Francois de Benedetti is a troubadour of shoegaze and ambient music. Where else do you hear guitar playing of such sublime and tender beauty? His tracks are like being caressed by a gentle wind, under a moonlit sky. Perfection. Francois is a genuine artisan of his craft. Yea Francois! You are rawk! yay for data unit love!